I was super impressed with the relaxed atmosphere and adorable yet simple decor. It definitely gives you the feel of a cafe. The 5 course Iftar set menu has variety to offer at an affordable price (99 per person). I usually don’t like having soups but this time, I wanted more which made us very excited to taste all the other courses. It is a hearty lentil soup with exotic turmeric and earthy cumin flavors. Simply healthy, substantial and comforting. Chicken flavour is also available. Fattouch is a very popular middle east salad and you find it almost everywhere during Ramadan. I have had many of these at different restaurants but this was the best so far as it wasn’t too tangy. The classic combination-fresh green leaves, herbs and vegetables, tossed with lemon or pomegranate molasses. A great vegetarian appetizer made from vine leaves wrapped into little rolls and stuffed with rice, parsley and tomatoes. It was the ultimate juicy Mezze with being superior in quality and taste as well but I couldn’t have more than as for it’s very strong flavor. This dish seemed very confusing but after a little bit of digging? 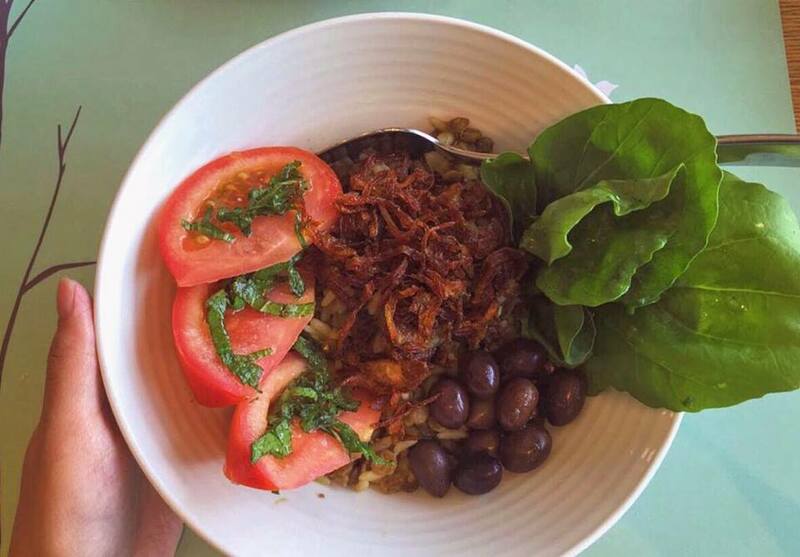 we discovered, it is traditional lentil-rice with fried onions sprinkled and tomato salad. I wasn’t a big fan of the combination but my tasting partner thought it was good. Shaped in oval balls and stuffed with ground meat and chopped onions. The quality is great and so fresh! Best to have with yoghurt and bread as for the bread is soft and fluffy and served hot which enhances the overall dish. Now if you wish to eat something different, this is well cooked chicken with fresh cauliflower and pesto sauce. It brings together some of the most flavoursome ingredients, including sun dried tomatoes and pine nuts. The main course will be different every day and we were offered , Mix Grill platter. The Platter was the star dish, featuring three kebabs that were cooked well. Tender, fresh and juicy beef! Must have! Chicken Kebab with common flavors of garlic and lemon being in the Lebanese-style with delicious flavourings, but we have had better and would go for beef instead of chicken kebab. 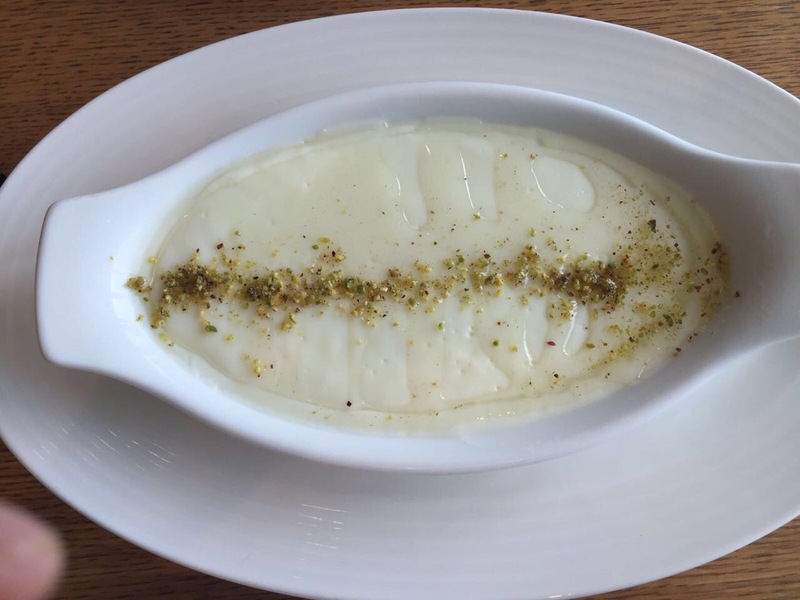 We were so full after tasting almost everything on the menu but this simple, creamy and sweet milk-based pudding flavored dessert topped with ground pistachios made our tummies very happy and we simply loved it! It was definitely a sweet ending! Overall, it was sort of a successful discovery! Really impressed with the location, affordable prices and few of the dishes. Thank you Shardey and the rest of the team! Call on 04 553 0729.